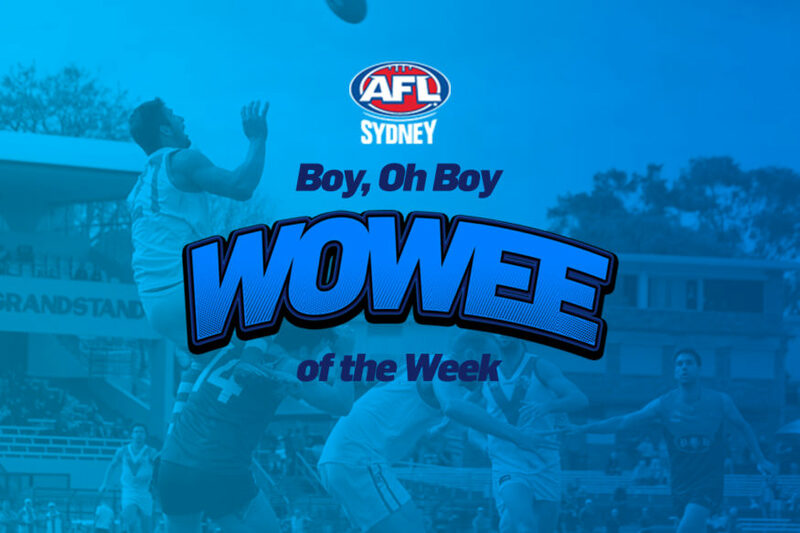 We’ve had two absolute pearla’s nominated for Round One’s AFL Sydney Boy, Oh Boy Wowee of the Week. Both that good, we couldn’t choose a winner. So, we’re leaving it up to you – the esteemed AFL Sydney audience – as to who will take home the weekly $100 prize. Vote on the AFL Sydney Facebook page via the BOBWOW poll post (from 7.30pm). The ‘Italian Stallion’ from Randwick’s Division Three side, Andrea Tacchi uses his soccer background to bicycle kick through a six pointer even Ronaldo would be proud of. Nominated by Jordan Hamer, Club President. This nomination comes from the Camden Cats’ Player/Coach, Jed Ellis-Cluff. 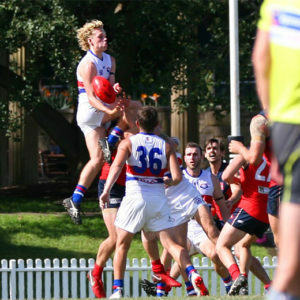 While the clearance from ‘Fish’ is not to be ignored, Ellis-Cluff’s bender from the boundary to seal the away-win for the Cats, has some real Eddie Betts vibes about it. We are calling for weekly nominations from individuals to honour the silly, spectacular and special moments at your club. 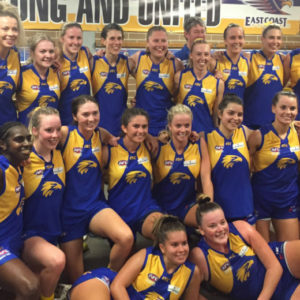 All AFL Sydney divisions from Men’s and Women’s teams are invited to nominate clutch marks, terrible haircuts, funny moments, after the siren victories, best fans, social media moments, or anything notable that has happened at your club during the week. Every nomination must come with either a photo or video for the judges to be able to determine a winner. Please send all nominations to alex.smith@afl.com.au by COB on Monday nights. This competition will run during the main rounds of the AFL Sydney season and does not include the AFL Sydney Finals Series. Weekly winner: The weekly winner (the individual who nominated the winning nomination) will take home 1 x $100 VISA gift card. Overall winner: The overall winner (the individual who nominated the overall winning nomination for the year), will win a 1 x $500 VISA gift card, as well as another 1 x $500 VISA gift card for their associated AFL Sydney club. The overall winning nomination will be announced at the annual Phelan Mostyn Medal night.